I love road trips. Really, who doesn’t? Meandering along undiscovered roads, stopping at chip trucks and local restaurants, catching a sunset from a new location every night — all while following no set agenda. Each trip has its quirks and challenges; wrong turns, flat tires, cranky co-pilots, testy traffic. 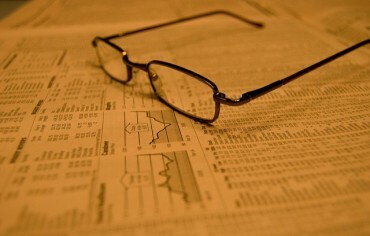 With a little planning and foresight, however, it’s easy to manage one particular challenge: Cost. Sure, eating out while on a trip is one of the many perks. Personally, I look for family-run hidden gems that offer staples such as burgers, wings, and steak. Simple tastes. But those expenses add up. It’s easy to pre-make a few sandwiches and stash them in a cooler to be whipped out whenever peckishness presents itself. They can be made for pennies and tide travellers over for a few hours until dinner – when you can really treat yourself. So, your gas expenditure is one to save a ton of cash. Gas Buddy is a helpful resource that will help you plan the most affordable fuel stops along your route. You can also use its handy trip cost calculator, which allows you to filter by car model and fuel requirements, which will give you a sense of how much to budget for fuel beforehand. That comes in handy when splitting the costs with travelling companions. Turn off the AC to save even more money – air conditioning is a gas guzzler, so you’ll get more mileage if you roll the windows down instead. Depending on your trip length, you might burn through an excessive amount of gas. Why not take advantage of that expenditure by collecting rewards points? Some of the best credit cards in Canada offer extra rewards points when used at gas stations. The Scotia Momentum Visa Infinite and Scotiabank American Express Gold offer 4% back when redeemed for travel rewards. Using a rewards credit card on gas purchases can go a long way in helping you save money on your next trip. Room service is great, even if the fries arrive somewhat soggy. But the price is sometimes hard to swallow and several hotel stays on a road trip will add up. Why not take the opportunity to get back to nature and sleep under the stars? Campsites cost a fraction of a hotel room and many parks offer comfort stations complete with running water and showers. An even thriftier way to plan your stay is to search for free campgrounds. They do exist and, I can tell you from experience, they can be even more enjoyable than a hotel room. The truth is worrying about money is a surefire way to dampen the mood of any trip. That’s why a little foresight and planning can help you figure out areas you can save money before you even turn the key for your first leg – leaving you to enjoy the rest of the journey without having to fret about spending too much cash. 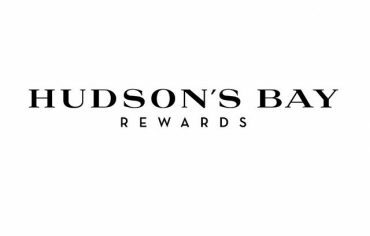 If you’re a frequent shopper at Hudson’s Bay or Home Outfitters, you should sign up for the Hudson’s Bay Rewards program. It’s free to join and you’ll receive points on almost everything you buy.